Tim-bor ® can be applied as a solution, foam or dust for wood treatment against wood-destroying organisms, and as a solution or dust for general insect control. This is one of the best way for a fungi treatment. This, applied as a solution or foam to wood, will penetrate into the wood to various depths dependent upon the moisture in the wood and the wood species. The active ingredient does not break down, therefore as normal moisture changes occur in the wood, It is always available to be drawn deeper into the wood over time, providing long-lasting protection. Timbor is an insecticide, fungicide and wood preservative for the protection and treatment of lumber against fungal decay and wood destroying insects (including termites, beetles, and carpenter ants). It gets its preservative power from the active ingredient DOT (disodium octaborate tetrahydrate). What Fungi Do We Treat For? 1. 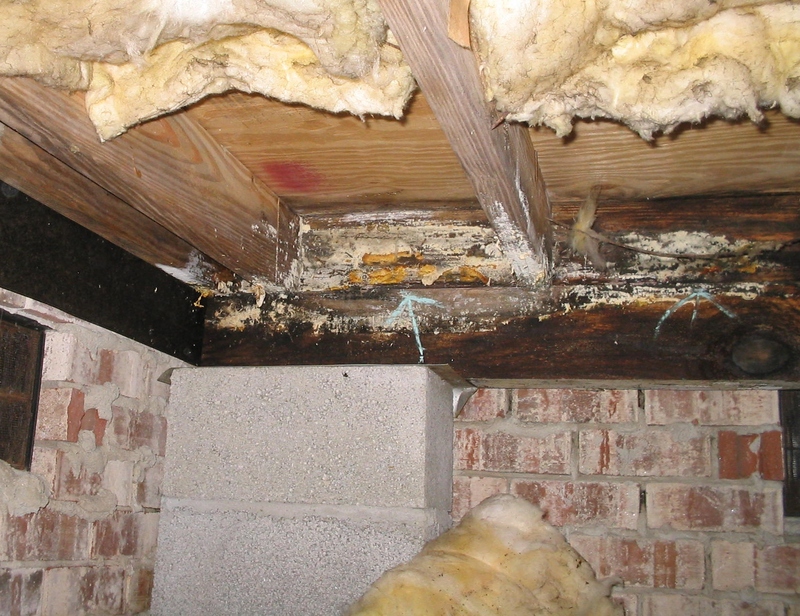 White Rot attacks primarily hardwoods and causes a white or yellow discolouration by attacking the cellulose and lignin in the wood. Eventually, the wood will develop a spongy touch and stringy appearance. If you looking for the best wood fungus treatment/Timbor treatment here in Virginia Beach and surrounding cities, just call us! Universal offers a Free Inspection for roaches, rodents, mosquitoes, spiders, ants, and termites. We have many pest control and termite control programs to protect your home from these pests. Universal specializes in moisture control under homes in Virginia Beach, Chesapeake, Newport News, and surrounding cities. Always offer a complete service solution based on the needs of the home. We offer fungi treatments, dehumidifiers, french drains, foundation vents, structural repairs, poly ground cover all with a full warranty. Also, we offer our exclusive “Smart-Pay” solution. Easy payment options directly with Universal Pest & Termite. We provide moisture control systems to protect your home from stinky moisture in the future. Universal Pest & Termite also offers combined Pest / Termite programs together for one low rate. No need to pay a company a fee for pest control and a fee for termite protection. 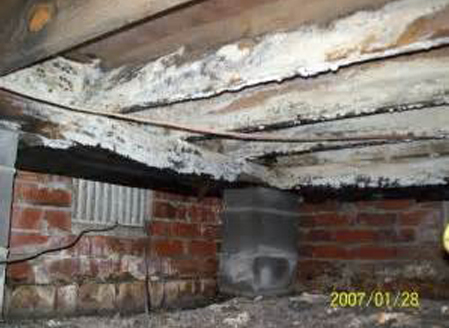 To see if your home qualifies Click Here and request a free inspection. We will provide you with our best and effective pest control services. Call today to book. You do not need to go anywhere for an effective wood fungus treatment. We are just a call away. Call or write anytime you see moisture at home. We are protecting your beautiful home.